Are you keen to reduce those tell-tale signs of ageing including crow’s feet and smile lines? Or perhaps you’re not quite ready for the appearance of fine lines and wrinkles yet! As we age we lose hydration and natural collagen in the skin which can make it start to sag. Sun damage, diet and repetitive movement in our facial muscles such as smiling, frowning, squinting and smoking can also cause ‘dynamic wrinkles’ to appear on the forehead and around the eyes and mouth over time. Premature ageing in the face can also be caused by dental issues- including numerous missing teeth. Many people choose to enhance recent dental work with a facial rejuvenation treatment for a truly amazing transformation. 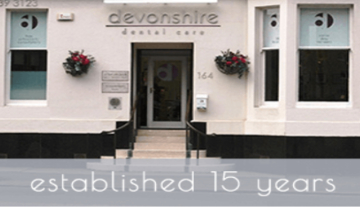 Why not find out more about the facial rejuvenation treatments available at Devonshire Dental? Our range of dermal fillers and anti-wrinkle treatments could help to reduce those irritating imperfections on your face giving a fresher, smoother and more youthful appearance. The pioneering range of Restylane dermal fillers and skin boosters are a brilliant way to give your skin a natural looking boost. A very versatile treatment, Restylane can be used on mild wrinkles to deeper folds. Incorporating hyaluronic acid gel, this ‘non-surgical facelift’ gives instant results whilst being comfortable and highly safe for patients. It works by replicating the natural acids found in your body. Effectively hydrating the skin from within to give long-lasting results. The Restylane gel (which contains a small amount of anaesthetic for pain-free injection) is administered in very small doses directly to the face as required. You will see an instant improvement in the tone and look of your skin. Results can last for several months. To maintain the best effect it is recommended you repeat treatment between 3 and 6 months. Azzalure (Botulinum toxic type A) is an anti-wrinkle injection which helps to significantly reduce frown lines and other wrinkles around the forehead and eyes. Azzalure is a quick, easy and comfortable treatment which gives very natural looking results. It does not affect other parts of the face making it an ideal option for those who seek a discreet way to maintain fresh looking, youthful skin. Although results aren’t instant you will notice a difference within just a few days and these could last for up to 4 months. Again repeat treatment is recommended every few months in order to maintain the best effect. Your Azzalure will be injected with a very fine needle. An anaesthetic is present in the acid to ensure that application is painless. Both Restylane and Azzalure can be administered in around 15 minutes making them highly convenient and easy to fit into your day. They require no recovery time so you can leave the surgery instantly and carry on in comfort. You many notice slight redness or swelling on the site of application which will quickly subside. Side effects are rare. If you do notice any rash, itchiness, swelling or dizziness please contact us immediately. If pain or irritation at the site of the injection does not subside within a day or two please call us. If you are interested in finding out more about our facial rejuvenation treatments why not book your FREE no obligation consultation. We can fully assess your skin and advise you on the best product available to suit your personal needs. Juvéderm® facial fillers use a unique crosslinking technology, called VYCROSS, that allows for longer lasting results and a better lift. When a facial filler is injected, it’s essential that it integrates with your tissue. Juvéderm® facial fillers are known for their exceptionally smooth consistency and their ability to integrate with your own facial tissue to get that natural look. Each Juvéderm® facial filler serves its unique purpose, whether it’s to smooth away wrinkles, restore volume for a gentle lifting effect or to reshape and redefine the lips. Your practitioner will likely use several products from the Juvéderm® range to create a tailored treatment plan for you.